The Sunset Skating Club (SSC), a member club of Skate Canada, is a non-profit society with club activities overseen by a group of volunteers which forms the Board of Directors. 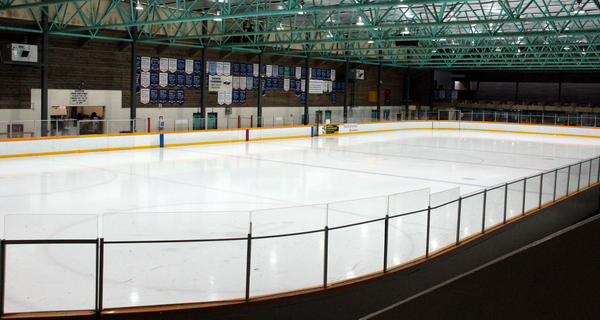 The club operates in accordance with the Rules, Regulations and Policies of Skate Canada, is based in the City of Vancouver and operates year round out of the Sunset arena, which is part of the Sunset Community Centre Complex. The arena address is 390 East 51st Avenue, Vancouver B.C. The club office is separate from the Community Centre rink office and is located by the skate rental area. The Sunset Skating Club is an energetic and competitive club of over 400 members, operating 12 months per year with Fall, Winter, Spring, and Summer sessions. We offer over 30 hours of programming weekly, including CanSkate, Junior Development Program, Junior Star Program, Special Olympics, StarSkate and Competitive Programs. Our Skate Canada NCCP certified coaches are dedicated, knowledgeable and enthusiastic. The success of the club is also due to ongoing volunteer support. Many of the daily administrative duties, marketing, promotions, fund-raising and non-profit requirements are fulfilled by club volunteers. The club is thriving and gaining momentum with every passing season. Our members compete locally, provincially and nationally. The executive board continually re-evaluates club programs and needs to order to service the community and continue to promote the love of skating and healthy living through ice skating and ice sports. We are proud to be able to offer many skating choices and opportunities to our members and to watch them achieve their goals. Our mission is to create, maintain, and enhance a healthy and positive environment in which our members can develop physically and emotionally while building character through the sport of figure skating at all levels. We wish to provide an atmosphere of mutual respect and social interaction, while promoting healthy living, positive role models, good sportsmanship, and lasting friendships through ice skating and ice sports. We hope to inspire strong qualities of discipline, poise, and self-confidence that will continue throughout the members' life and carry out the general policies and objectives of the Skate Canada Figure Skating Association.